The Defender might hold a fond place in many a heart but it wasn’t a huge profit maker for Land Rover. By contrast, Mercedes wised up in the early 1990s to transforming the G-Class from a workhorse akin to the Defender to a luxury off-roader that was capable on all terrains but also appealed to decadent buyers around the world. Although the Defender’s sales exceeded the G-Class’s when it ended production in January 2016, the average Defender sold for less than half the price of the average G-Class, so the Merc’s profit margins were more business friendly. The Defender also faced increasingly stringent safety and emissions rules that made continuing its production a challenge. For all those reasons, the G-Class has managed to carry on where the Defender didn’t. Just last month, we saw a G-Class run-out special, ensuring the current iteration of the off-roader milks everything it can before the new one arrives. There’s a lot of potential for the next Defender, due in 2019, but key to its future success is its ability to be profitable in the way that the G-Class has. Until then, Germany reigns supreme. The Defender died because it’s platform was untenable to future crash regs, nothing else. Land Rover could easily of swapped out the Puma diesel engine for an Ingenium D180/D240 engine. 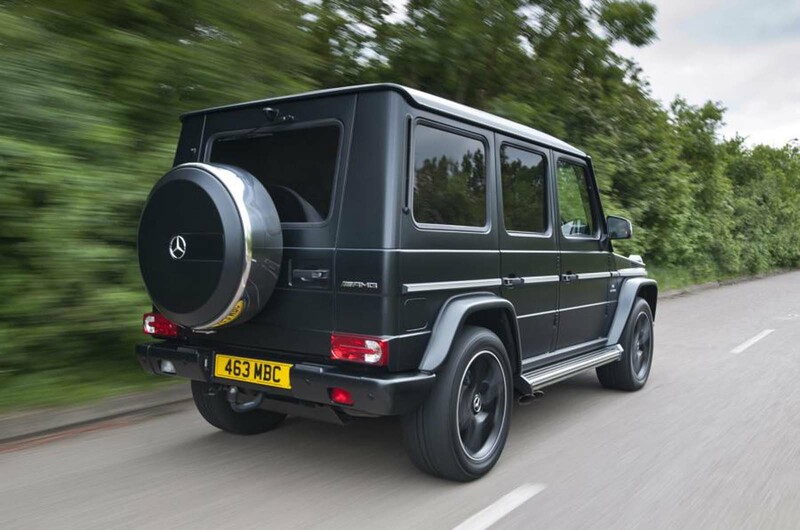 Plus the average transaction price of a G-Class is WAY over £100k, 3-4 times the Defender. But the Defender could never be pitched at that level from a Land Rover dealer. Only aftermarket upgrading or SVO could make it a £100,000 car, otherwise it’s position as the LR ‘worker’ pillar would be lost and it might as well be rebranded as a Range Rover. Defender / G Class article - why ? What a complete non-story this turned out to be. It waffles on yet manages to say very little - most notably that surely the main reason for the Defender dying first is that it was launched in 1948, the Gelandewagen in the 1970’s, nearly 30 years later, with the consequent differences in available technology determining their design and construction. No the series 1 landrover was launched in 1948. This NOT a defender. Semantics. The Defender was merely a change of name brought about by the marketing people. It did NOT represent a new model in terms of fundamental engineering architecture. Not only is the G class being revamped, the new X Class sees Mercedes entering the top end of the 'work horse' market. The new Defender is nowhere to be seen, and will be a very different proposition when it does arrive. I think JLR is making a mistake. is a pimped up Nissan, Mercedes saved millions of pounds and years of developement by sharing a platform with another manufacturer, Landrover dont have that luxury. Just proves Land Rover can make the next Defender to be a simply more modern version of the old Defender. If they make it more like the old Discovery (but simpler and not quite as luxurious) I think they will hit the Jackpot. It will basically then be a competitor to the Toyota Land Cruiser. Landrover. Need to crack the US market and make a competitor to the Jeep. People in the us actually use their jeeps as recreational vehicles and go proper off roading rather than this pathetic green laning nonsense. Do not pander to the rose tintEd British Defender obbsesives, and do not try and beat the lanscruiser/patrol at its own game, these vehicles have incredible reliability/durability, landrover simply does not. Target the Jeep.